Connecticut is feeling the effects of climate change including record droughts, flooding, and increasingly intense hurricanes. Meanwhile, the clean energy market has grown rapidly. Solar, for instance, now employs more people in electricity generation than oil, coal and gas combined. As of January 2018, 56 cities across the country have committed to transitioning to 100% clean energy by 2050. Transitioning to clean energy will avert the worst impacts of climate change while creating good jobs and boosting the economy. When President Trump pulled the United States out of the Paris Climate Accords, states like Connecticut were left to pick up the slack on our own. In January 2018, the Governor's Council on Climate Change—charged with finding ways to meet the mandates of the 2008 Global Warming Solutions Act (GWSA)—unanimously voted to recommend a new carbon emissions target for Connecticut of 45% below 2001 levels by the year 2030. The GWSA commits Connecticut to reducing our total greenhouse gas emissions to levels that are 10% below 1990's emissions level by the year 2020 and 80% below 2001's emissions level by the year 2050. Clean energy is integral to lowering our emissions and powering up our economy. Take our pledge to support moving Connecticut to 100% clean energy by 2050. Clean energy and green technologies have grown exponentially in recent years, creating numerous jobs in several fields. Renewable energy sources can generally be divided into zero-emission and low-emission. Zero-emission renewable sources, like solar and wind, generate no carbon emissions. They are the cleanest energy solutions. Low-emission renewable sources, like fuel cells and biomass, still produce carbon, but significantly less than coal or fracked gas. The sun is the most powerful energy source we have access to, so it's no surprise that solar energy is the most common renewable energy currently in use. 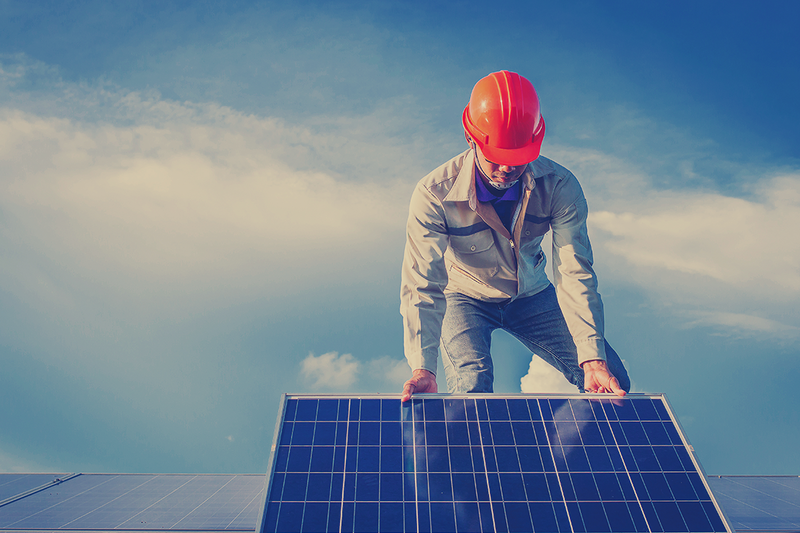 Solar energy is becoming more and more accessible thanks to programs like the Connecticut Green Bank as well as lower overhead for solar panel installations. Solar panels can be used to power homes and businesses, and can be installed on roofs or even parking lots. There are two types of solar panels currently in use: photovoltaic (PV) and solar thermal. Both work by capturing the sun’s rays and converting them into usable energy. Solar PV is different from solar thermal in that it converts the sun’s energy directly into electricity while solar thermal uses the sun’s energy to heat water (or food-grade antifreeze in colder climates) to produce heat for a home or steam to run a generator for electricity. Harnessing the power of the wind is smart, clean, and affordable. Europeans have been using wind power for centuries, and farmers in the United States have used small windmills for many years to pump water or grind grain. Wind is not in abundance everywhere or at all times, but today's windmills are designed to capture even the slightest breeze. Wind farms utilize hundreds of these aerodynamically advanced wind turbines--comprised of composite materials and sophisticated electronics--to rotate the blades, turn generators, and produce bulk electrical power. The electricity that the wind turbines produce is typically fed into the local utility grid for public and private consumption. Large wind farms tend to be built in the plains, on hills, on mountains, and some states are in the process of installing them offshore. In June 2018, Connecticut purchases 200 megawatts of electricity from offshore wind, marking our first investment in this renewable. Smaller versions of these large rotors are available for residential use. 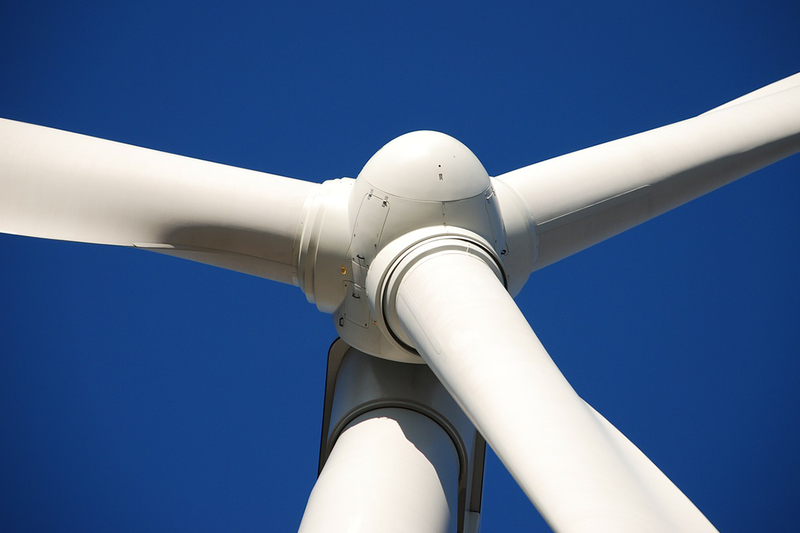 A small home-sized wind turbine has rotors between 8 and 25 feet in diameter and rises 30 or more feet. It can supply the power needs of an all-electric home or small business, and can be either grid connected or connected to batteries that store excess electricity for the days when the wind does not blow. ​Geothermal technology has been utilized since the late 1940s to generate efficient, renewable, and clean energy from the natural heat inside the earth. While many parts of the country experience broad seasonal temperature extremes--from scorching heat in the summer to frigid cold in the winter--the temperature a few feet below the earth’s surface remains relatively constant. This ground temperature is warmer than the air above during the winter and cooler in the summer. Geothermal heat pumps utilize this temperature difference by exchanging heat with the earth. They can heat, cool, and even provide hot water. ​Geothermal heat pumps use fans and compressors that are quieter than air-source heat pumps, though many systems combine air-source and geothermal-source pumps for added efficiency. Hydroelectric generation was once a staple wherever there was a river or fast-moving stream. Even today, enormous dams in the Pacific Northwest produce more than 40% of the total U.S. hydroelectric power. In the northeast, the Niagara Falls Power Station produces some of the most affordable electricity in the world. In addition to the large-scale hydropower around the U.S., Connecticut has many small public and privately owned hydroelectric facilities that produce clean, renewable energy for the regional power grid. When it comes to producing electricity from water, the bigger the drop, the more energy it will produce. Hydropower works when water drops down or over propeller-like blades connected to a turbine, which in turn is connected to a generator by a metal shaft. When everything moves, electricity is generated, redirected, or stored for future use. Wave power technologies extract power from surface waves or from water fluctuations below the surface. Tidal power relies on tidal currents to spin turnstiles or turbines to generate electricity. Ocean thermal power uses the difference in temperature between the warm top layer of the ocean and the colder, deeper water to generate electricity. Connecticut is a world leader in fuel cell technology and research. Fuel Cell in Bridgeport, CT has 14.9 megawatt capacity and powers thousands of nearby homes. Meanwhile Doosan Fuel Cell in South Windsor was recently selected to help power the new Energy and Innovation Park in New Britain. Hydrogen fuel cells are composed of stacks of individual cells that collectively form a unit. These units contain a cathode and an anode that form a sandwich around a catalyst. Hydrogen enters the cell through the anode and is split into electrons and protons by the catalyst. The electrons are funneled out to power the system while the proton passes through the catalyst. Both entities rejoin at the cathode which introduces oxygen, creating H20 as a byproduct along with heat. Fuel cells are incredibly efficient and environmentally friendly as the only byproducts are water and heat. They can be used to power automotive vehicles and buildings, handheld devices, commercial power plants, military applications, and space exploration. Hydrogen is also an excellent energy storage option. Unused electricity can be diverted to convert water into hydrogen, which can be used in fuel cells later. Fuel cells come in a range of sizes and configurations, allowing them to be used nearly anywhere. They produce energy as long as fuel is present, eliminating the intermittency associated with many renewable energy sources. Biomass refers to the organic material from food crops, wood, oil-rich algae, and organic components of garbage that can be burned or broken down to create steam, heat, and/or electricity. Burning wood has been a heating and cooking staple since the dawn of humanity. Depending on where you live, it is still relatively easy to gather, although it is time-consuming and bulky. Additionally, wood needs to be stored and cured for maximum efficiency. Modern stoves are also far more efficient than those of the past, and wood can be purchased in small, concentrated pellets, making handling and storage much easier. Many manufactures and utility companies burn waste products--from garbage and wood-byproducts to waste oil and even sewage sludge--for energy and heat. This process needs to be carefully monitored to ensure dangerous pollutants are not released into the atmosphere or allowed to contaminate water sources. The excess energy that is produced through these alternative energy sources is often sold back to the electricity companies and added to the regional power grid. Connecticut has also offered tax incentives and grants for these projects. Biomass can also be used to create biofuels such as ethanol and biodiesel. Biofuels, biogas, and the burning of biomass in general offers a cleaner alternative to the comparative fossil fuel. Burning fossil fuels releases carbon captured millions of years ago while biomass releases carbon captured recently. Done correctly, biomass is both sustainable and renewable and is a net-zero emitter of carbon dioxide. ​One specific bio-power technology is Anaerobic Digestion, which uses microorganisms to breaks down biodegradable materials in the absence of oxygen to create biogas. The biogas is then used as fuel for electricity and heat production and can be used in a Combined Heat and Power unit to produce both heat and power. 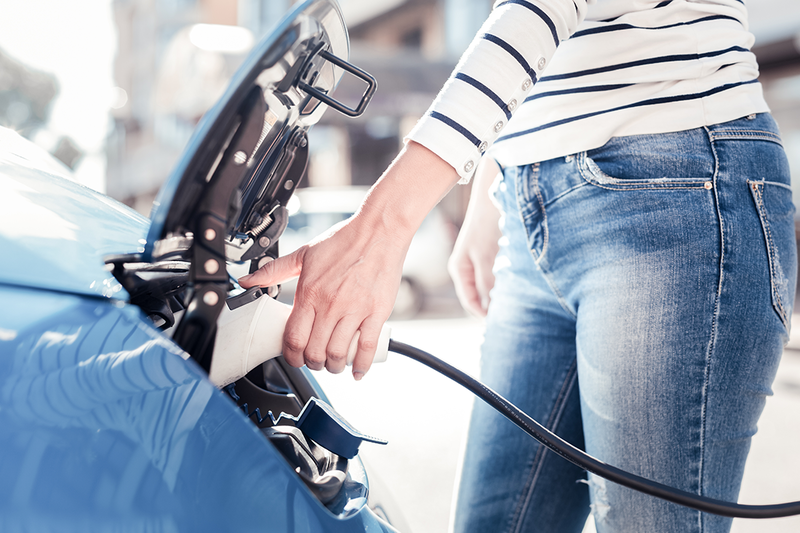 In 2018, after tumultuous negotiations during the last days of the legislative session, Connecticut's General Assembly passed SB9: Connecticut's Energy Future. This bill increases our state's investment in renewable energy, but it also contained an attack on residential solar. Connecticut is required to purchase a portion of its energy needs from renewable sources. These are allocated under the Renewable Portfolio Standard. Net-metering refers to Connecticut's current solar compensation program. When homeowners or commercial solar customers generate more energy than they use, they can sell the excess amount back to the power grid at current retail rates. Energy companies like Eversource generally oppose net-metering in favor of a system where solar users sell ALL their power to the grid and then buy back what they need at retail rate. Called "buy-all/credit-all," this system means higher fees for residential solar customers and makes it nearly impossible for homeowners to take advantage of battery storage or some smart-home energy systems. SB9 allows solar customers to either use net-metering or buy-all/credit-all, but at a rate—called a tariff—to be determined by the Public Utilities Regulatory Authority (PURA). Eversource and utility companies lobbied hard against net-metering, and succeeded in dramatically weakening the ability of residential customers to affordably use solar power. CTLCV is already working with a coalition of advocates to fix this issue in the next session. Low-Emission and Zero-Emission Renewable Energy Credits (LREC/ZREC) help homegrown solar and clean energy businesses thrive. These credits reward "behind-the-meter" programs that reduce or eliminate carbon emissions. Under LREC/ZREC, commercial energy projects powered by sources with no carbon emissions (such as solar or wind) or low carbon emissions (like fuel cells and biomass) earn credits which are purchased by utility companies. These credits help developers offset the higher installation and startup costs of renewable energy technologies, making it easier for small businesses to go green. SB 9 extended LREC/ZREC credits to help our business community cut emissions and invest in clean energy. Shared solar enables residential and commercial consumers who cannot afford to or otherwise unable to install their own solar panels to instead band together to buy shares in a larger solar project. Connecticut is home to our nation's first ever Green Bank, which helps fund clean energy projects for homeowners and small businesses, improving efficiency and cutting emissions. We have also taken steps to increase our own investment in affordable energy, and have begun exploring offshore wind projects. The Connecticut Green Bank is our country’s first green bank. Established by the Connecticut General Assembly on July 1, 2011 as a part of Public Act 11-80, the Green Bank supports the Governor’s and Legislature’s energy strategy to achieve cleaner, less expensive, and more reliable sources of energy while creating jobs and supporting local economic development. The Connecticut Green Bank evolved from the Connecticut Clean Energy Fund (CCEF) and the Clean Energy Finance and Investment Authority (CEFIA), which was given a broader mandate in 2011 to become the Connecticut Green Bank. Since its inception, the Connecticut Green Bank has helped fund over $1 billion in clean energy projects. The Connecticut Energy Efficiency Fund (CEEF) works to advance the efficient use of energy, reduce air pollution and negative environmental impacts, and promote economic development and energy security. Offshore wind: Connecticut purchased 200 MW from Deepwater Wind's Revolution Wind project, a 25-turbine wind farm to be built in federal water near Martha’s Vineyard. Construction of the wind farm is slated to begin in 2021 and power is to be delivered by 2023. This project alone will power approximately 100,000 homes. Fuel cells: Connecticut purchased fuel cell energy from Doosan Fuel Cell and FuelCell Energy to power projects in Colchester, Derby, Hartford, and New Britain. Biomass: Connecticut bought 1.6 megawatts of Anaerobic Digestion power in Southington. The process converts plant materials into methane gas for heating and power. ​These investments represent about 3% of Connecticut's total electric load, far short of what some of our neighboring states have committed.